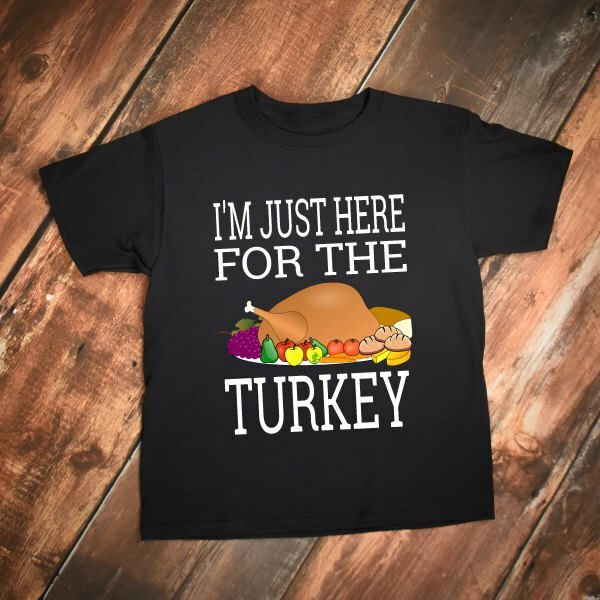 Funny Thanksgiving t-shirt that says “I’m just here for the turkey“! Not going to your family’s house for the loving conversation and fun? I hear ya, just going for the turkey is the way to go! Just here for the turkey Thanksgiving t-shirt for everyone who loves food! This just here for the food Thanksgiving t-shirt is ideal for everyone who’s going to a family turkey day but is only going for the food! “I’m Just Here For The Turkey” funny Thanksgiving Day t-shirt.